We hope this command line will work better for you. OK. This helped now a lot - see the attached PDF file. 1) You see that the background color and font size does not match the original attributes [see blue box]. 2) I need a further replacements to be performed. Can this be done with one command line call or do I have to call pdftr.exe for each replacement? 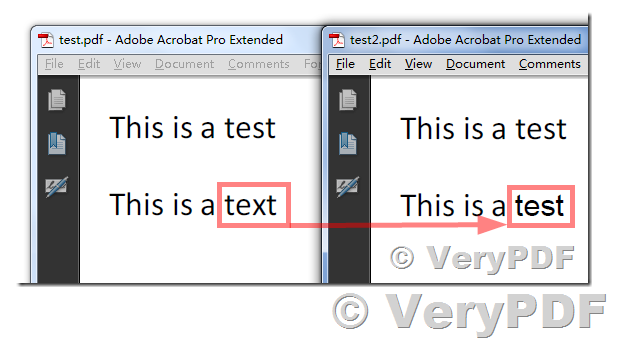 3) The modified PDF file is 10-times bigger than the original. Can I do something about this? Compare the attached files. >>1) You see that the background color and font size does not match the original attributes [see blue box]. >>2) I need a further replacements to be performed. Can this be done with one command line call or do I have to call pdftr.exe for each replacement? >>3) The modified PDF file is 10-times bigger than the original. Can I do something about this? Compare the attached files. 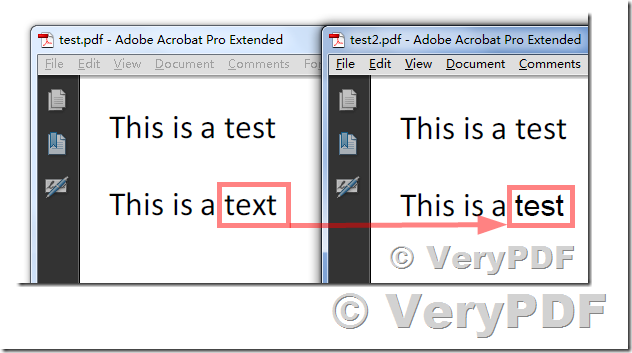 How to find and replace text in an existing PDF by command line application? This entry was posted in PDF Text Replacer and tagged pdf text replacer, replace pdf text. Bookmark the permalink.